THE House independent bloc yesterday sought the passage of a proposed law granting tax incentives to the private groups helping government’s efforts in the rebuilding of calamity-stricken areas when Congress resumes sessions on January 19, 2015. 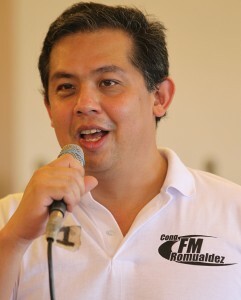 Leyte Rep. Martin Romualdez, the leader of the House bloc, led the filing of House Bill (HB) No. 3447 which is also calling for the active participation of the private sector in the ongoing reconstruction efforts to help the victims of strong typhoons and earthquakes. “Since the government cannot do it alone, we must encourage private sector participation to help the victims of the calamities,” Romualdez stressed. “The national government must encourage the participation of the private sector. It becomes imperative therefore, that Congress should introduce measures in line with this policy thrust,” Romualdez explained.